logo done by .reEto :: vote for the logos you like and be a lamah ! Nice 1bit plasmas. 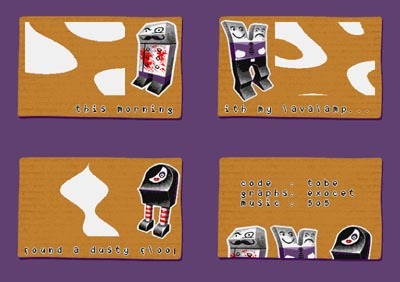 When I've read the title of this demo I thought there would be blob effects inside a lavalamp (an idea I wanted to code since ages when I had first witnessed those lavalamps in real life), but these seem more to me like plasmas. good music, good effects, good presentation, and absolutely stunning pixels! small and enjoyable. good style. Is it me or did I hear that music before in an MJJ Prod screen? Thump up for the nice pixels! very strange stuff. good gfx. page created in 0.013811 seconds with 15 queries.